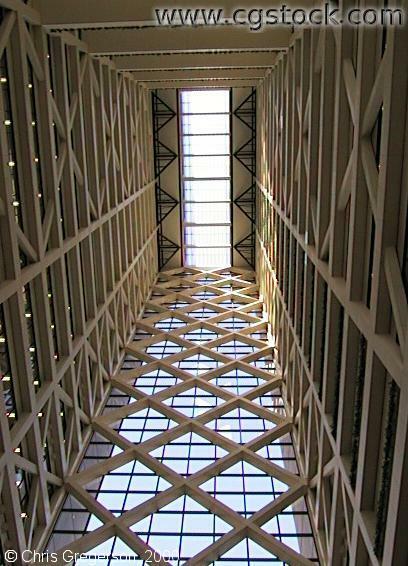 You are inside the Hennepin County Government Center, looking straight up from near the fountain. At the bottom of the picture, windows face 5th Street and City Hall. The right tower is the courts tower. 6th Street passes underneath the building.